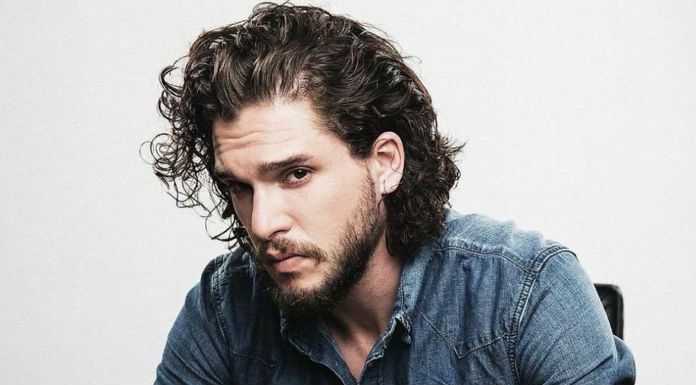 Christopher Catesby Harington, popularly known by his stage name Kit Harington is an English actor and model, who rose to prominence following his portrayal of Jon Snow in the popular American fantasy television series, Game of Thrones. Harington originally wanted to become a cameraman, war correspondent, and journalist since he was a child. He grew a passion for acting and drams during his school days. After completing his high school, he got himself enrolled at the Worcester Sixth Form College and then at the Central School of Speech and Drama. There he studied drama and theatre in both the schools and graduated in 2008. After his debut appearance in the drama War Horse, he was auditioned for a role, Jon Snow in Game of Thrones. He debuted in GOT in 2011 earning him critical acclaim, fame, and popularity, allowing the network to pick him up for the entire series. He received several accolades and recognition for his portrayal in the series, and in 2017, he went on to become the highest paid actor in television earning $1.1 million Us dollars per episode. Kit Harington was born on December 26, 1986, London, England. He is currently 31 years old. Harington did his schooling at the Southfield Primary School from 1992 to 1998. He attended Chantry High School in Martley until 2003. He attended Worcester Sixth Form College from 2003 to 2005, where he studied drama and theatre. When he was 19, he was enrolled at the Central School of Speech and Drama and graduated in 2008. Harington began dating Scottish actress, Rose Leslie in 2011 before they both have appeared in the television series Game of Thrones. In 2013, they parted ways and reconciled a year later. In March 2016, they confirmed their relationship by making their red carpet debut as a couple at the Olivier Awards in London. The on and off-screen couple were engaged in September 2017 and married on June 23, 2018, at Rayne Church in the village of Kirkton of Rayne, Aberdeenshire, Scotland. He first appeared in a 2012 Canadian-French 3D horror film Silent Hill: Revelation 3D, playing as Vincent. Harington made his debut in television with the American fantasy television series Game of Thrones, portraying the role of Jon Snow. He hasn’t endorsed any brand or product yet. Kit Harington is fond of cars and bikes, who has a Jaguar, Infinity Q60, and a Trimuph Thruxton. He lives in a 8-acre mansion in the countryside of East Anglia, which includes seven bedrooms and bathrooms, a tennis course, a pavilion and a swimming pool. He purchased this house for £1.75 million in 2017 along with his girlfriend Leslie. The GOT star became popular in the international arena as the series does. His salary has sky rocketed in the course of the years. He charged $300,000 for the sixth season, which ha snow gone up to $1.1 million US dollars for the seventh season. It is believed that his remuneration for the last and final season of Game of Thrones has gone way high that one would imagine. Harington has an estimated net worth of $12 million and both his salary and net worth to soar in the coming years. Though he is popular known as Kit, his real name was Christopher Catesby Harington. He believed Kit is his real name until he was 11 years because he was called Kit by his family. If Harington was not an actor, he would have been either a journalist, or a cameraman, or a war correspondent. He grew out his own real hair to play Jon Snow on Game of Thrones. He never had long hair before that. Kit was nominated for a Primetime Emmy Award for Outstanding Supporting Actor in a Drama Series in 2016. In February 2017, it was reported that he would star and executive produce a three-part historical drama for BBC based on the real story of the Gunpowder Plot. Harington will play the role of his ancestor Robert Catesby alongside actors Mark Gatiss, Liv Tyler and Peter Mullan. Harington voiced Eret in How to Train Your Dragon 2. He is scared of spiders and flying too. Kit is also not good at video games. He’s anti social media and you won’t ever see him join up to Twitter. He’s afraid to do that even in his free times. Besides acting, he’s also good at writing. He has already written three shows with his best friend Dan West, two of which had already sold. He may turn producer soon.